The second chance at happiness just gladdens my heart. I have always loved PERSUASION. 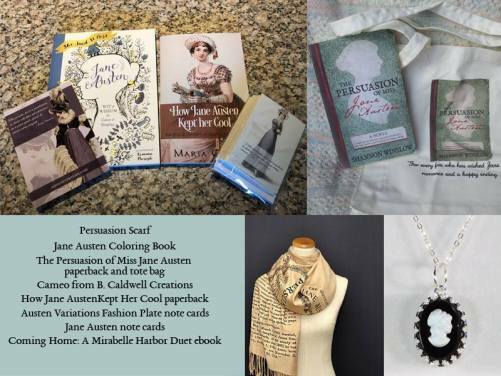 I think Persuasion is my favorite Austen book! Good insight into Lady Russell. It does put a different spin on the book, doesn’t it? As hard as it is to say this… I have to agree with regards to Lady Russell. Wentworth was an unknown, and Lady Russell was giving the best advice she could. We also see this played out with the three sisters in Mansfield Park, Lady Bertram, Mrs. Norris, and Mrs. Price. 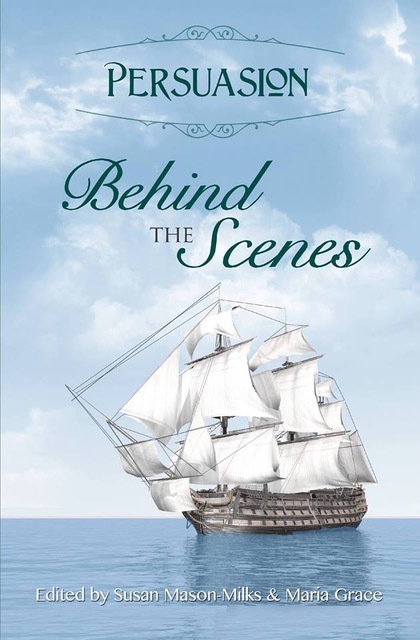 Mrs. Price married a sailor and lived decidedly below her sisters in wealth and in society. That was why Fanny was sent to her Aunt Bertram due to the Price family not being able to afford her. That could have easily been Anne Elliot had she married Wentworth. I have this book on my wish-list. I think the comparison to the family in Mansfield Park is particularly apt and really does help bring home the wisdom of Lady Russel’s advice. I guess Lady Russel’s intentions were well grounded in reality and her advice to Anne to seek a richer,more stable partner,was prudent,indeed! Thanks to all concerned for this post.Best of luck with this book! Very much looking forward to the anthology and enjoying the blog tour. Best Wishes! I’m sorry you haven’t been well Rita, I hope you’re soon completely better. I have this book on my list although as I noted on an earlier post I have the P&P version and haven’t read that yet! One day I will catch up on my TBR, one day!!! The TBR pile can be pretty daunting, can’t it? I’m so excited about this one! 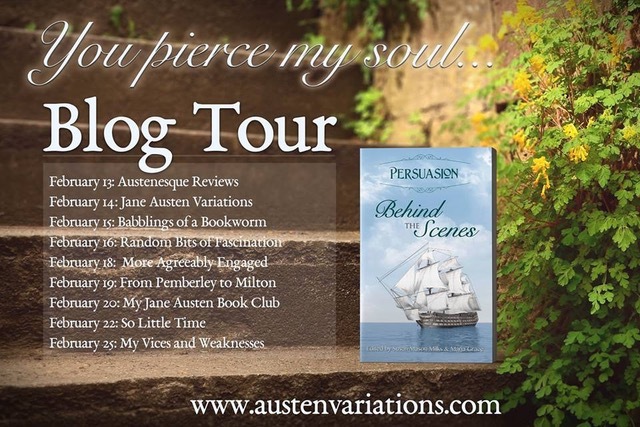 Persuasion is right up there with P&P for me, so this book definitely is on my wish list. Thanks for sharing! I would certainly love to read about Anne and Frederics courtship!! I was a delight to get to write about it! So sorry you were unwell, Rita! Hope you’re feeling much better now. Thanks for the great post, Maria Grace! I loved the defence of Lady Russel. It makes perfect sense that she would want Lady Elliot’s most deserving daughter to have a safe and happy life, not throw herself away on someone who was a penniless young man at best and, at worst, a fortune hunter. Frederick Wentworth was such an unknown quantity when he first appeared on the scene. A pity he had to sail away quite soon, so no chance of a long courtship / long engagement that would allow everyone to know him better. An even greater pity that he was too proud to ask again ‘in the year eight’. I think the long separation and heartbreak is more on him than on Lady Russel. Persuasion is my second favorite, after P&P. And Anne with Capitan Wentworth are my second favorite couple.